Submitted by Christopher Duggan Photography. Originally published on November 1, 2016. 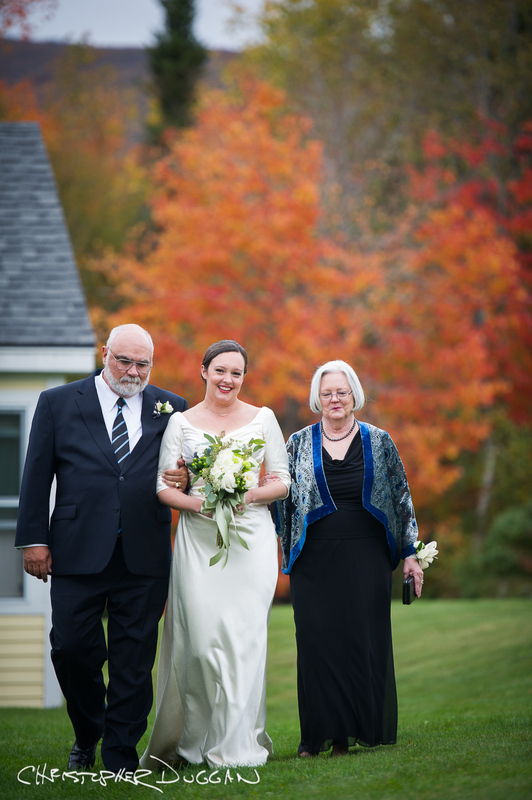 A word from the photographer: Kate & Evan were married at the Red Clover Inn in Killington, Vermont. It was a beautiful outdoor wedding & so full of love from family and friends. The fall colors were beautiful and we took advantage of them while making portraits. We were able to make a photo from above of all the wedding guests, which is one of my favorite things to do – my wife and I really cherish the photo we have of all our family and friends together on our wedding day. Kate is a longtime friend and fellow Jacob’s Pillow person. Her and Evan are lighting designers. In fact, many of their friends are in that business, too – their wedding was sort of like a lighting designer convention! Towards the end of the evening, there were two flood lights shining underneath an apple tree. I must have seen those lights be refocused several times. It was such a hoot that they couldn’t NOT adjust them. 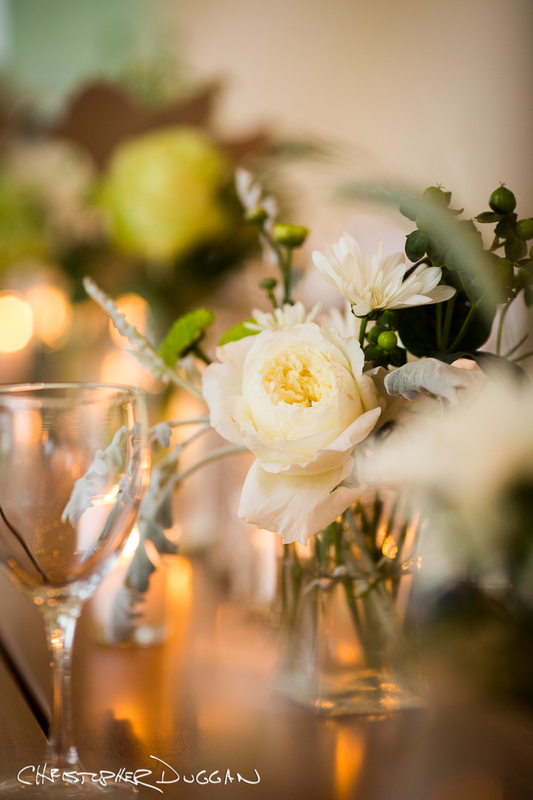 Kate & Evan chose to get married at the Red Clover Inn & Restaurant not just for its warmth, intimate & romantic feeling, but because it’s close to Evan’s grandmother and her attendance was an important element to them. 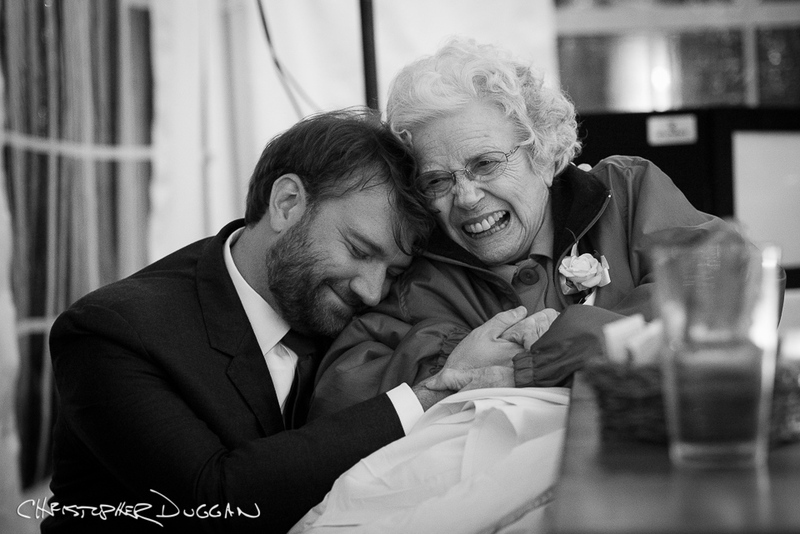 It was easy to see that Evan shares a very special bond with his grandmother. It warmed my heart. Witnessing special relationships between families and friends is truly the best part of being a wedding photographer. These are the moments that are absolutely priceless.